Ever since the early access version of the game released back in July, developer Blue Isle Studios has been steadily releasing content for the game on an, almost, weekly basis, in the form of new structure sets, costumes, and more. Now, however, it seems like the developer finally kicking new content additions into overdrive, as it has just released the first major expansion for the title, which is called The Forsaken Crypts. First, and probably the most important part, the new expansion will introduce three new boss caves. The first is the Phoenix Spirit Citadel, which is described as an old, run-down marble castle. Next up is Dragon’s Heart Citadel, a city that was destroyed due to a volcanic eruption. The third is titled Blood Soul Citadel and is a fortress that has been completely covered in ice. The expansion is also set to include three brand new armor sets: Dracul, Pyrant, and Helios. The first gives players an incredibly high defense, the second will provide bonuses for wizards, while the third gives players a god-like power. A brand new trailer was also released, which shows off some of the content you’ll get with the expansion. You can check it out at the end of the article. The Forsaken Crypts should be available to download for everyone right now, absolutely free of charge. 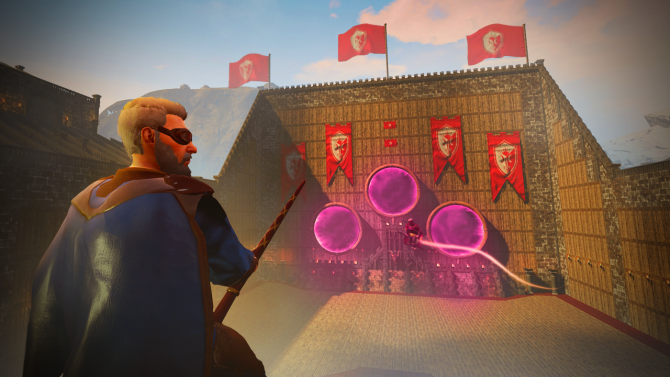 Citadel: Forged With Fire is a part of Steam’s Early Access program, and has been since July 26, 2017. Console versions are also planned but details are unknown.